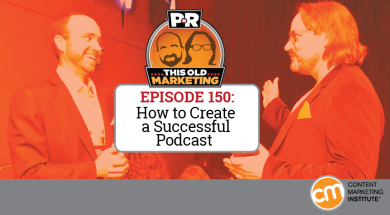 In our special 150th episode, Robert and I spend some time talking about what makes a podcast successful and share our thoughts on why PNR has already lasted 2.8 years. We also discuss why Facebook has become public enemy No. 1 in the eyes of media companies and journalists, and explore Salesforce’s potential purchase of Twitter. Rants and raves include the cost of content marketing and the reasons why we do content; then we close the show with an example of the week from Petfinder. PNR’s podcasting milestone: This week, PNR celebrates its 150th consecutive week of podcast content goodness. In addition to revealing behind-the-scenes secrets, listener feedback, and tools of the podcasting trade, we share some lessons we learned on our journey towards this milestone, as well as our thoughts on just how helpful this immensely personal content format has been for connecting with our audience. Why Salesforce might be interested in Twitter (27:10): TechCrunch explores breaking news, rumors, and mounting evidence that the cloud CRM giant could be eyeing an acquisition of the social network, and offers some thoughts on why a deal between the two could make more sense than it might appear. While Robert doubts that a purchase by Salesforce will ultimately take place, I offer my opinion that this is an opportunity that Google would be crazy to let slip away, given the news value and revenue implications that such a deal would present. Why Facebook is public enemy No. 1 for newspapers and journalism (32:45): A recent article on The Guardian points out the overload of criticism about Facebook on a number of fronts over the last few weeks — including accusations that the social media mainstay’s News Feed algorithm is killing journalism by narrowing users’ news agenda. Above and beyond these potentially alarming implications for the media industry, this is just more fuel for my fiery argument against marketers relying on publishing platforms that they don’t control. Robert’s rave: Marketing leaders should consider this recent interview with GE’s new CMO Linda Boff on cmo.com to be required reading — particularly for those who have aspirations of becoming a chief marketing officer. It’s a compelling and contemporary conversation on what it takes to lead a legacy brand through its digital transformation and strengthen its relevance and value in the modern age of marketing. Robert’s “mini-rave”: Robert has had more than a few people reach out to him of late to ask about statistics that quantify the cost savings that content marketing may offer. As he explains, providing the argument that content marketing is a cheaper way of doing business is not an effective approach to getting buy-in. 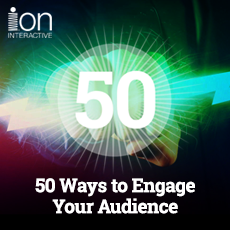 Depending on a company’s particular goals, expenses, and ROI expectations, content marketing may not always turn out to be the most cost-effective technique; but this is something each company must decide for itself, rather than relying on one narrowly-focused data point to tell the whole story. Joe’s “semi-rant”: Like Robert, I’ve had multiple people approach me with a question around getting buy-in — in my case, they are related to creating social media content or increasing the volume of the content they produce. I explain why my stand-by answer to both questions is, “I can’t tell you how to do these things, because I don’t even know whether you should be doing them.” The success of content depends on what problems you are trying to solve, and whether content can make a meaningful impact on those goals. You never want to try to sell your management on content itself; instead, approach the topic from the standpoint of the things they care about, and how content might contribute to achieving them. Petfinder: As a dog lover and proud pet parent, this week’s example is near and dear to Robert’s heart. 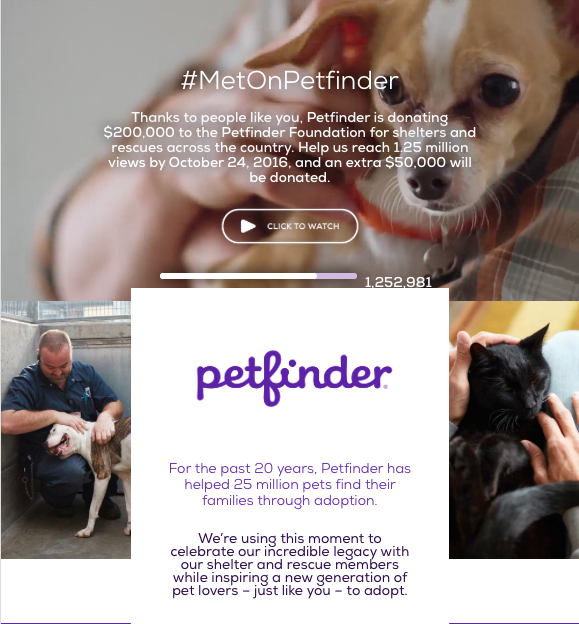 Petfinder is a web-based service that helps connect adoptable pets to the people who are looking to give them a loving “furever” home. Since its original launch in 1996, the organization has aided in the adoption of over 22 million homeless animals. Not only has this worthy for-profit organization been able to successfully monetize its content by becoming a go-to resource for all things pet-related, but its efforts also attracted enough industry attention to earn it the distinction of becoming the first-ever digital acquisition by pet-product giant Nestlé Purina in 2013. In an AdAge article that covered the purchase, Purina Brand Manager Michael Kotick had this to say: “This is an interesting acquisition for Nestlé as a whole, mainly because it shows, above and beyond providing products, that experiences and utility are important.” Not only does the Petfinder brand — and its target audience — continue to align with Nestlé Purina’s values to this day, it also serves as a wonderful example of how a for-profit company can monetize its audience by providing access to the information and experiences they are passionate about.